I am in Texas at a lovely place called the Sheltering Tree, which is a counselling center that is run and owned by my friend and colleague, Cathy Woodward. 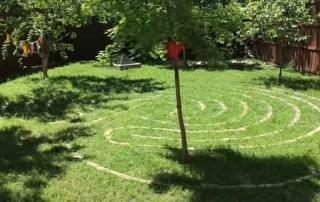 In the back yard of the Sheltering Tree is a fantastic Labyrinth. 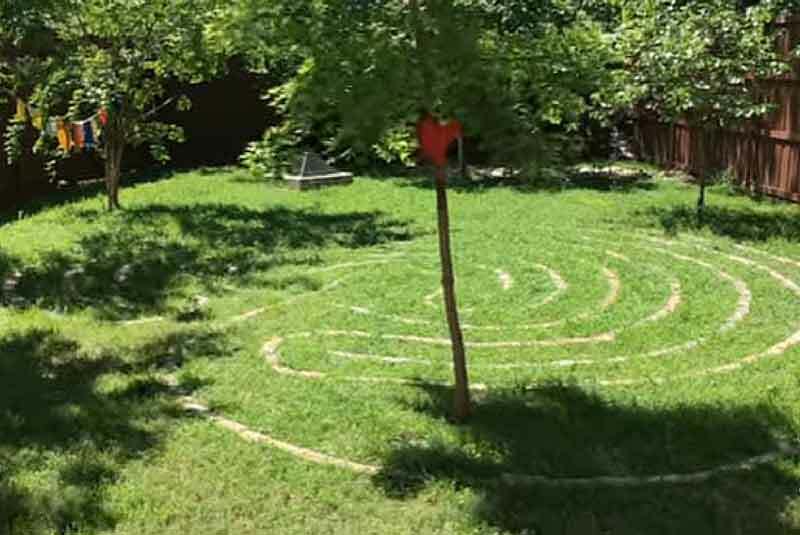 The Labyrinth is something that is near and dear to my heart, because it’s the perfect metaphor of what recovery really is about. So many of us think that recovery is like entering a maze. Where there are so many mistakes to be made. And ways in which you get blocked. But a Labyrinth is something that is very different. Because you see, there are no wrong turns here. It’s a twisting, winding path. It’s not the path into something and out of something. It’s a path that you take to the center of your very being. And then once you get there, that’s not the end, because you then find your way out. A Labyrinth has been used since ancient times to symbolize the journeys we take though life, whatever they happen to be. And so, when you enter a Labyrinth, it can at times be very confusing. Very overwhelming. You go, wait a minute, I was just here, and now I…how did I get back here again? Just like in recovery, you get to a point where you go, wait a minute. I thought I already resolved my issues with my mother. How come I’m back here again? 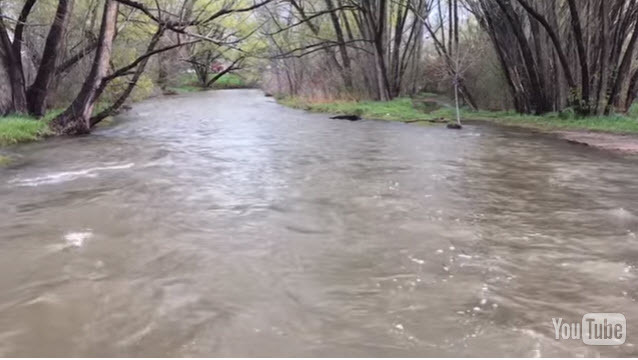 What are you doing to stay afloat in strong emotional currents? As I was spending time down at the river, it made me think of one of my favorite metaphors. 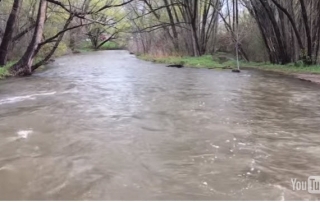 Imagine, imagine you’re on the banks of a raging river. It’s pouring down rain, and you slip and you fall in, and you’re drowning. You are getting pulled down through the rapids. And eventually along comes a big log. And you grab on. And the log saves your life. It keeps your head above water, when surely you would have drowned. And eventually it carries you to a place where the river is calm. But, you can’t get to the river bank because you’re clinging so tightly to the log. Make no mistake about it, the log is like your disordered eating. It has saved your life at a time when surely you would have drowned in some very strong emotional currants. And it serves a function, a very important function. And it would behoove you to know what that function is. But to make it more complicated, there is always someone on the riverbank yelling let go of the log, let go of the log. And you feel like an absolute idiot, because you can’t let go of the log. Well, the truth of the matter is, letting go of that log may not be the very best thing to do initially. Because what happens if you let go of the log, start to swim to shore, get half way there and realize you don’t have the strength to make it? That means you don’t have the strength to make it back to the log either. Let go of the log. When you start to sink, grab back on. Are you blocking things you shouldn’t? 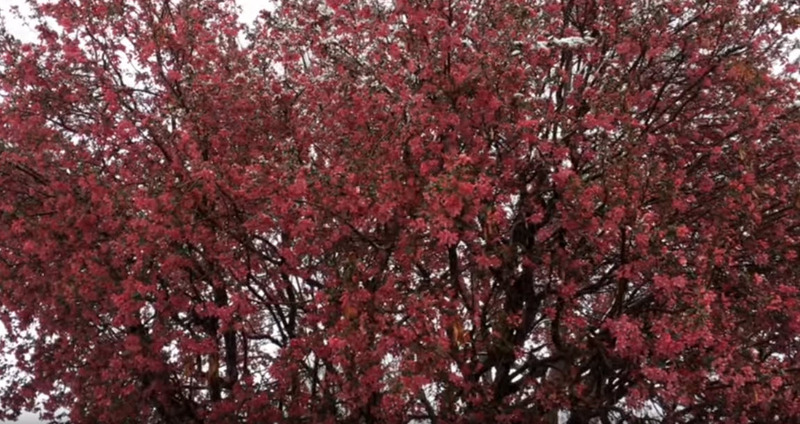 Its springtime and it’s snowing – here in Denver, Colorado. 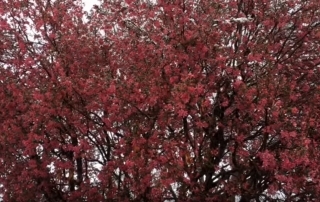 When I first saw the snow, I thought, oh no, it’s going to knock all the beautiful blossoms off the apple tree! — and it very well might. How often do things in our life not go the way we think they should? When life decides to — what we would consider – “misbehave” itself, we often try to block it. We try to block our feelings. We try to block our experience of it. Rather than accept it. If you block your feelings and think, oh no, I shouldn’t be having this feeling, I shouldn’t be feeling sad, I shouldn’t be feeling annoyed, I shouldn’t be feeling frustrated, I should be happy. Then you start thinking about the ways in which you should be feeling rather than accepting the feelings that are coming up. Sometimes feelings don’t make any sense; sometimes they are unpredictable. Human nature is to fight those feelings. And often, we fight those feelings with food. We might restrict our food in an attempt to restrict our feelings. You might start to obsess about the foods you’re not allowing yourself to eat. You might try to avoid the “bad” feelings. When you stuff yourself with food when you’re not hungry, it’s a way of numbing your feelings. When you go for a long, long run or hop on an exercise bike because you want to distract yourself and run from the feelings you’re having rather than just running for the joy of it, again, you’re blocking your experience of life.